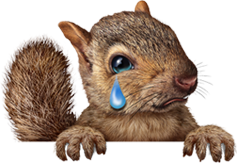 Every product bearing the Brome® Squirrel Solution brand is truly squirrel-proof. While Brome® Squirrel Solution feeders are designed to effectively foil and frustrate squirrels to no end, they won’t harm them in any way. As much as we love wild birds, we also love all living things, even if they have ravenous appetites and big bushy tails. 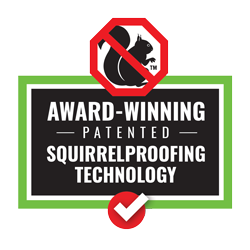 Every product bearing the Brome® Squirrel Solution brand is guaranteed 100% squirrel-proof. While Brome® Squirrel Solution feeders are designed to effectively foil and frustrate squirrels to no end, they won’t harm them in any way. As much as we love wild birds, we also love all living things, even if they have ravenous appetites and big bushy tails. The latest in affordable squirrel-proofing technology. Ideal for perching and clinging birds! 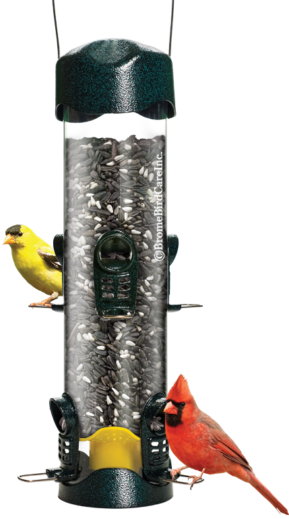 This decorative 6-seed-port feeder is perfect for a heavy bird traffic!